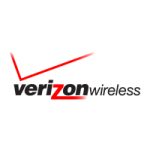 Verizon Wireless deals in mobile network services and it put forward data, messaging, and wireless voice services and products to a large number of customers. The company has over hundred million subscribers. The company offers a number of solutions as well as technologies to enhance accessibility to its services and products. It offers smartphones and various other devices, and wireless internet service as well. The company also offers 3G services and voice services to its customers and its broadband service. The company overhauled its EV-DO Rev A, which enable customers to obtain very high speed downloads ranging up to 3.1 Mbit/s. There are currently 5 consumer reviews about Verizon Wireless available. Share your review. I would appreciate a call as soon as possible on my home phone:(336)921-2314 or on my mother (Linda Pardue) cell phone:(336)406-1632. I have been in contact several times with Verizon Wireless Technical support, concerning my cell phone number:(410)490-0780, I have not had full use of my phone. I can make calls and send text messages, but I cannot receive phone calls and text messages. This has been going on now, since Sunday, August 25th,2013. This has caused a great deal of chaos. Thank you for your time and I look forward to hearing from someone that knows how to resolve this issue. They should consider selling admission to other companies to observe how customer service should not work. It would be a wonderful opportunity to show new customer service reps how to never do their job. It is absolutely unbelievable how no two agents have the same information. Everyone who has a Verizon contract should buy one share of stock and show up at the annual shareholders meeting and demand to be heard. Last May of 2012, I upgraded my cell phone because I wanted to disconnect my home phone. I was told by Verizon for $20.00 a month I could keep my home phone & transfer to Verizon, which I did. In order to do that, I had to buy an adapter from them. I have been going through hell since then! At first it worked great, but as time went on, I would have to dial a number from 3-5 times to get a connection. I complained in January of 2013 and gave up after being on the phone over an hour w/tech person. It has now gotten to the point that I cannot even dial out any more, so again I contacted tech support, which ended up with them sending me a new adapter and what do you know, it doesn't work either, so I again got tech support on the phone & they opened up a ticket to have someone find out the problem. It has been 72 hours and have not heard from anyone & still can't make a call out! I am canceling my home phone w/Verizon!! Please take a note that you are about to post a public review about Verizon Wireless corporate office on CorporateOffice.com. This review will be public, so please do not post any of your personal information on this website. If you would like to contact the corporate offices of Verizon Wireless, please use their contact information such as their phone number, website, and address listed above to contact them. However, sometimes staff from Verizon Wireless headquarters do read the reviews on this website.